How does the divide between secular and religious map (or fail to map) onto struggles for rights and recognition, such as those of indigenous people or activists fighting for racial and gender equality? Why are atheists, humanists, and other kinds of nonbelievers more likely to be white and male? How do women and people of color experience secularism differently? How do we narrate the emergence of the secular? Is it a story of continuity or rupture, and what are the effects of these historical narratives? How do these questions relate to political theology? How does the growth of secularism relate to the emergence of empiricism as a culture? What do we make of scientific narratives of progress or impending destruction? What is the role of scientific materialism in the twenty-first century, especially in Communist and formerly Communist countries? When do claims about the religiosity or secularity of healing practices have consequences in the world? How do factors like race and gender pattern these consequences? 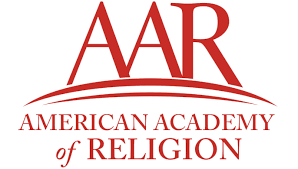 For more details on how to submit, visit the AAR CFP guidelines or the Secularism and Secularity Unit page.